Today’s Mediterranean Diet is renowned for its delectable fish and vegetable dishes drenched in olive oil—and it is best enjoyed in good company over a carafe of wine. But how different was it in ancient times? Research undertaken by archaeologist Donald C. Haggis of the University of North Carolina at Chapel Hill is starting to provide some mouthwatering answers. “What people ate and how people ate were directly connected to their society,” he says. 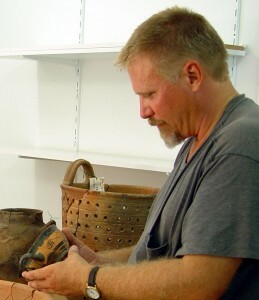 Since 2002, Haggis has been directing excavations at the Early Iron Age and Archaic (ca. 1200–480 B.C.) 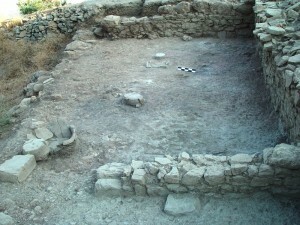 site of Azoria on the Greek island of Crete. 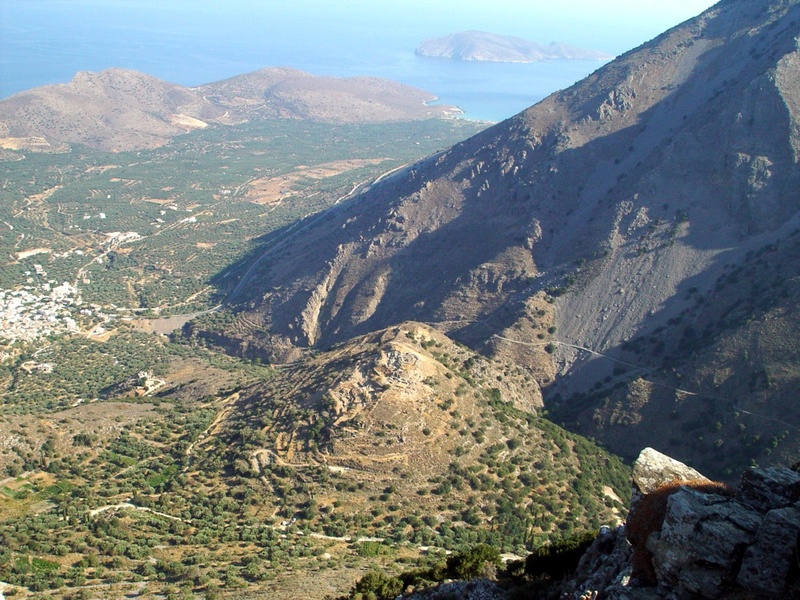 Here he has conducted the most comprehensive analysis of diet at an early Greek city in the Aegean to date. “While food has been recovered from cemetery and sanctuary sites in Greece, we still have significant gaps in our information about domestic and civic spaces, houses, and public buildings,” he says. “We know from historical sources that food was an important aspect of economy and sociopolitical interaction.” Archaic and Classical Cretan political institutions required food as forms of payments or tithes, he explains. They also stored and processed food for public banquets and consumed food in the context of public assemblies and sacrifices to the gods. So Haggis decided early on to expose as much of the site as he could. 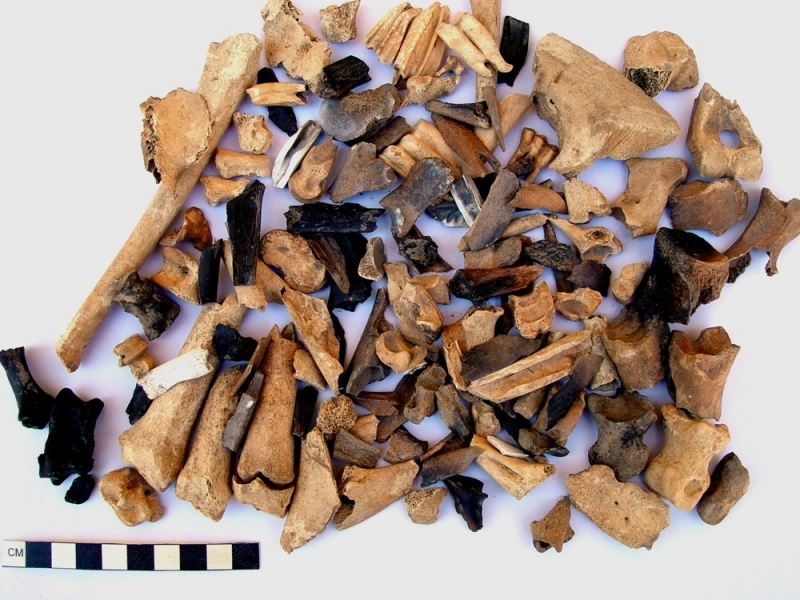 While many archaeologists try to avoid such large-scale digging these days, he argued that it would be necessary in order to obtain the teeny remnants of faunal and botanical data he was looking for—“clues” to the city’s economic and social structure. This required intensive strategies; in fact, the most intensive sampling done on a Classical site to date. On average, over the course of each six-week season between 2002 and 2006, the team dry-screened 50,000 liters of soil and water-sieved 700 to 800 samples (or 13–15,000 liters)! 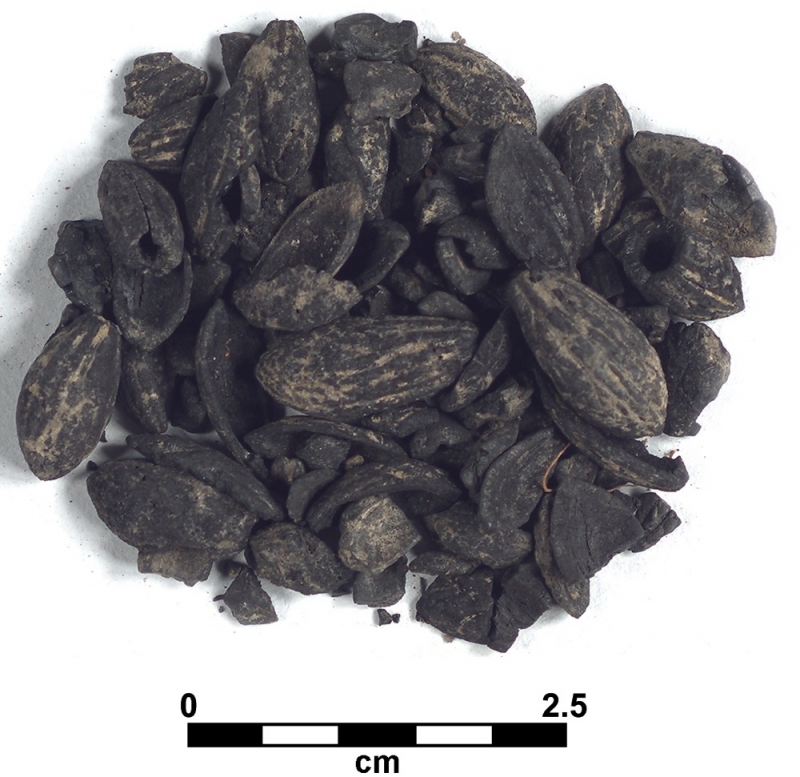 For instance, his team found evidence for large-scale storage of food and processing of grains and pulses at Azoria. 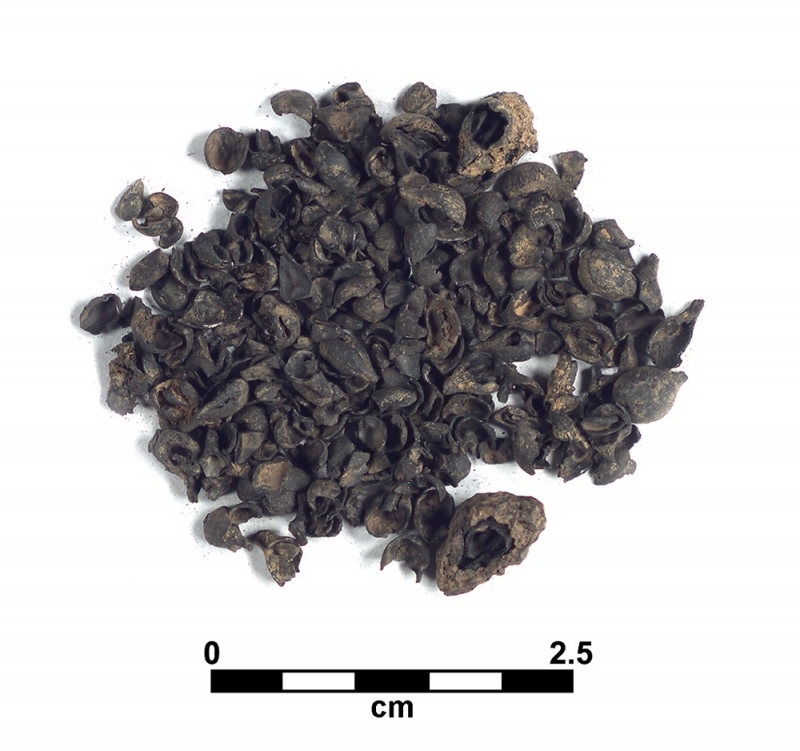 However, they found no evidence for “primary” food storage and processing, which must have been conducted away from the city center, on rural estates or in distant dependent households. “At the center, they were preparing meals,” he says, “reducing pulses and grains for coarse breads, stews, and porridges.” This is a stark contrast from the preceding period, during which grain was regularly stored, cleaned, and ground to make flour in private households. The public structures included banquet halls and a type of monumental civic building known as an andrion, where important male community members assembled. 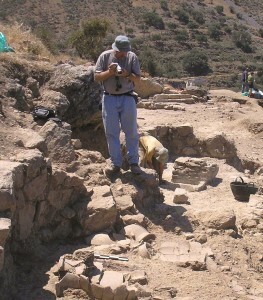 In these areas, the team found food debris, cups, jugs, storage jars, and cooking pots, along with large conical stands for wine-mixing bowls. Haggis believes that one building’s function centered on wine mixing and drinking in huge quantities; it was also a place where cuts of meat were dressed with sprigs of thyme and mint, and prepared for roasting on a spit. Porridges and stews, with and without meat, were also consumed in these areas. 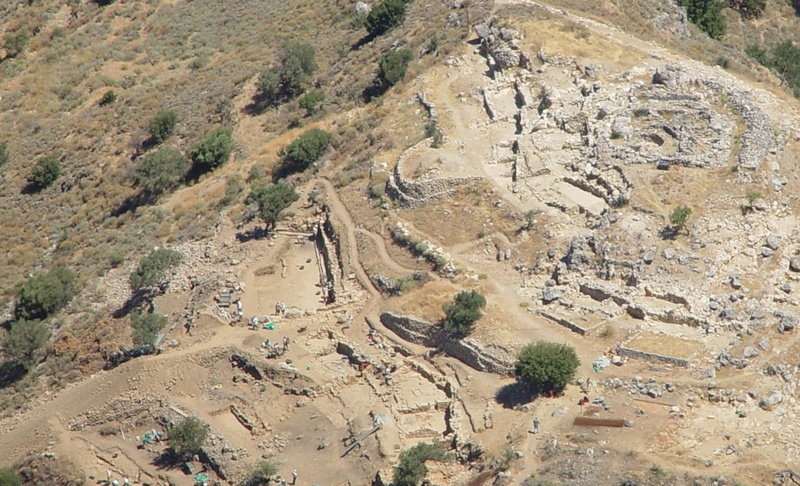 Azoria was abandoned, looted, and then set ablaze between about 480 and 475 B.C. 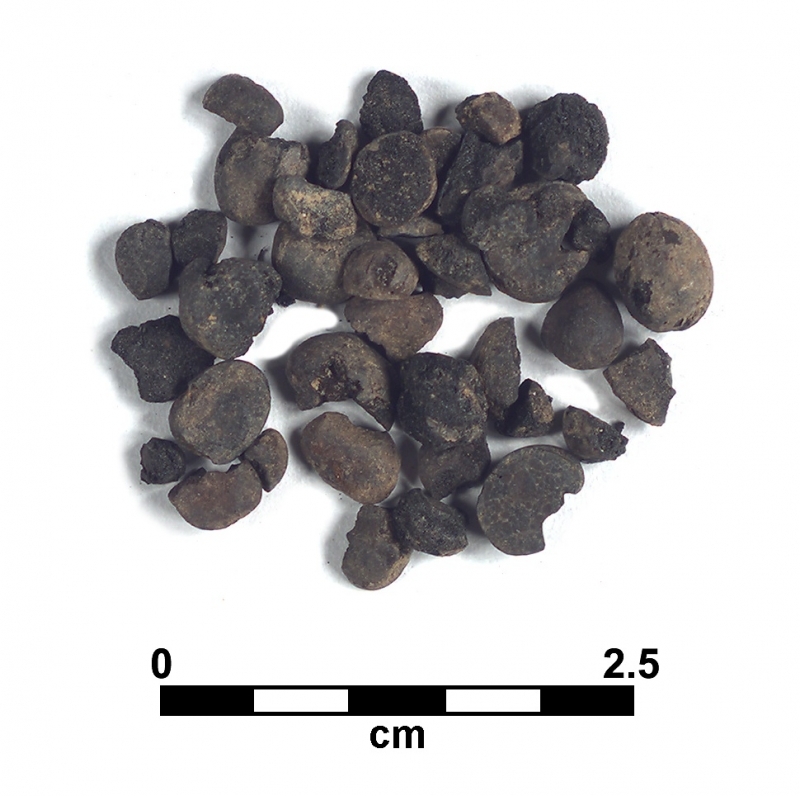 Haggis’s team has uncovered evidence of the fiery destruction, which was probably caused by a neighboring city-state, on the buildings’ walls—each room deliberately torched from the floor up. 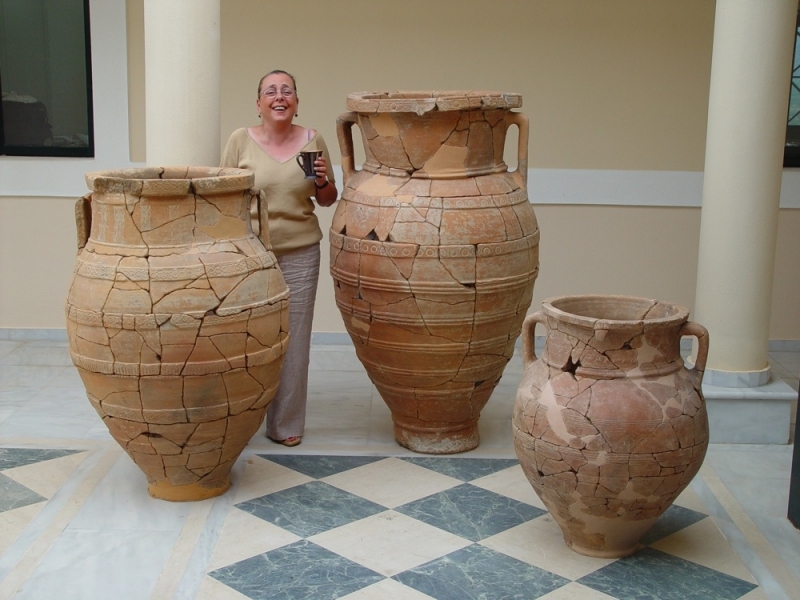 In 2004, they recovered two complete serving vessels from the site’s “Monumental Civic Building.” Analysis of their contents has revealed one of the “last suppers” served before Azoria’s demise: one pot contained a sheep- or goat-meat stew with chickpeas, grapes, onion-like bulbs, and twigs from the mint family (possibly thyme and oregano); the other contained a stew of wheat, broad beans, and grapes. 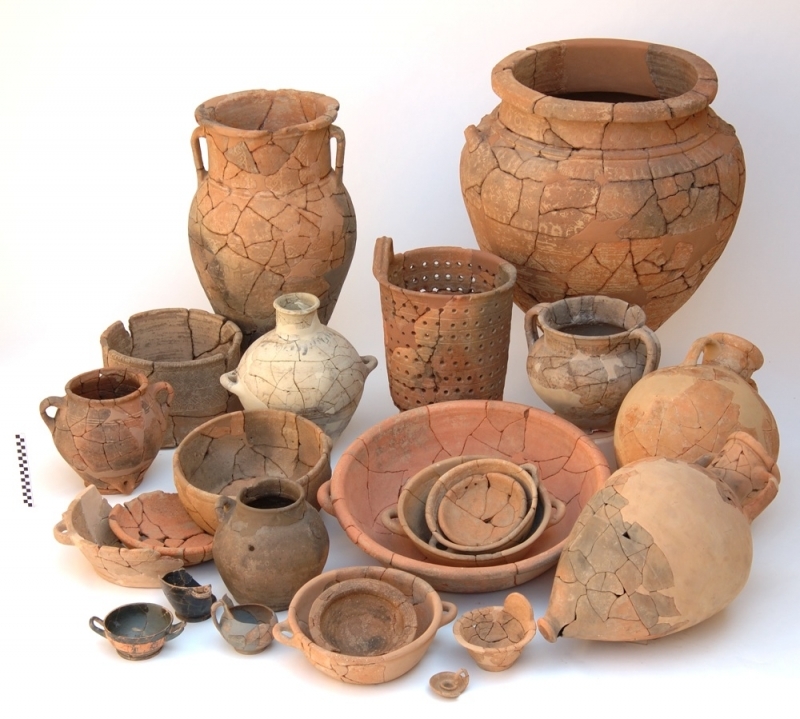 This entry was posted in Europe and tagged archaeology, Archaic, Azoria, Crete, Donald C. Haggis, Food, Greece, Iron Age, Mediterranean Diet, Olive Oil, Wine. Bookmark the permalink.